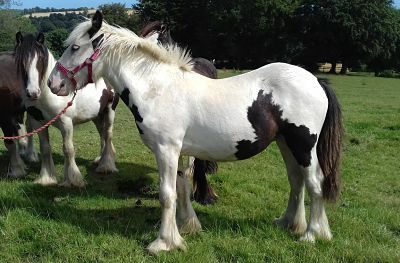 Hutch is a 2016 piebald Cob gelding. He originally came into the IHWT as a welfare case. He is well handled and would need an experienced home to build his confidence and bring him on. He has a lovely temperament and will make a lovely riding Cob.